Erin Virtue, USA Junior National Team and University of Michigan assistant coach, shares insights on developing younger setters. Physically, she looks for first-step quickness, which allows setters to cover more ground and use their hands more often. Especially at younger ages, height should not necessarily be a determining factor. Ideal leadership characteristics include vocal ability, something that’s usually apparent even at 12 years of age. What is the setter doing between plays to make the next play better? How good is the communication when things go well or poorly? Since repetition leads to consistency, she also believes it’s important to spend extra one-on-one time “with the quarterback” before or after practices. 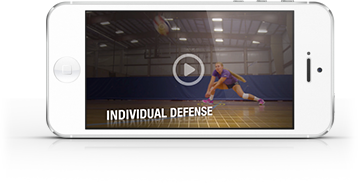 And since younger players are typically visual learners, sharing videos of top-level setters will also help them become better.